Back home and right back to work. It was nice the customs officer at Wellington was so friendly last night and even told me “Welcome back!”, in contrast to the gruff customs officer in Los Angeles who closely questioned me on what I was doing in the US and how long I would be there (um, hello, did you notice the passport you are looking at is from the US? Made me feel more at home going to NZ than to my own native land…). Something else I’m looking forward to in 2015: getting my residence class visa!! 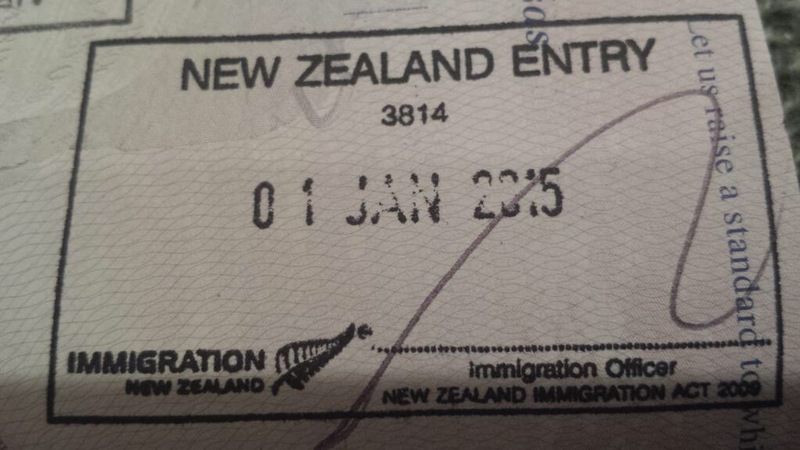 At my two-year mark in New Zealand I can “upgrade” (so to speak) from my work visa to a resident. A year or so after that I can apply for permanent residency. In five days I’ll be back on an airplane, but fortunately for just a quick flight down to Dunedin, to visit and travel with a few friends from the UK who are road tripping around the South Island at the moment. Then I’ll fly back from Christchurch a couple days later. Hi Bekah- left you a comment a couple days ago but I see it never posted so will try again! Thanks much for the update…..what an amazing year for you! Glad things are going so well since your departure from Kwaj. I’m on Kwaj until April and still trying to decide where/what to do next, but would love to see NZ and AU while still in the neighborhood, so your posts are especially interesting! Congratulations on a life far from the ordinary! Thanks Jeff! Best wishes on whatever’s next in your life! New Zealand and Australia are great. Once you get past the whole driving on the other side of the road thing it doesn’t feel like too much of a culture shock from America, but still different 🙂 I like how it’s more laid back in a lot of ways and more leave time for me to travel! I miss family and friends in the States, and frequently diving the warm waters of Kwaj, but NZ is great (and I love my job, which helps) and I’m looking forward to many more adventures as I continue to live here.